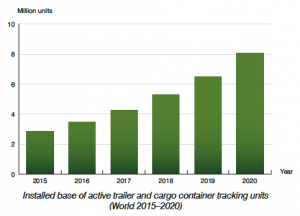 Cargo tracking is on the rise. For the 5th consecutive year, Berg Insight has released its « Trailer and Cargo Container Tracking » market study. The report analyzes the latest developments on the trailer and cargo container tracking and security market worldwide. We are very happy to see Kizy cited as one of the leading players this year, along with other innovative companies in Europe and the USA. Don’t have the time (or budget) to read the full report? Here are the main takeaways. The installed base of active cargo tracking units has reached 2.9 million units worldwide in 2015. The market for remote tracking systems is forecasted to grow at a compound annual growth rate of 23.2 percent to reach 8.1 million units by 2020. Taking into account that there are around 20 million intermodal containers and over 13 million trailers in use worldwide, it means that only less than 10% of these units are equipped. Still some potential for growth. 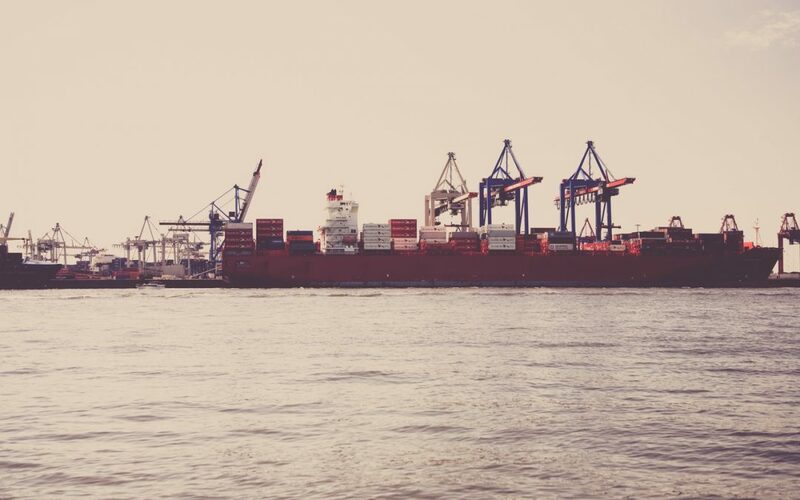 The market for cargo and container tracking is still in its early days and is meant to keep growing fast. The largest players are located in North America and have an installed base of active tracking units between 100’000 and 200’000. The European trailer telematics market is considerably smaller with leading Europe-based companies in the range of 20,000–50,000 active units. What are the trends in cargo tracking? Download the full report summary here. Berg Insight is a dedicated M2M/IoT market research firm based in Sweden. They have been specialising in all major M2M/IoT verticals such as fleet management, car telematics, smart metering, smart homes, mHealth and industrial M2M since 2004. Their vision is to be the most valuable source of intelligence for our customers.